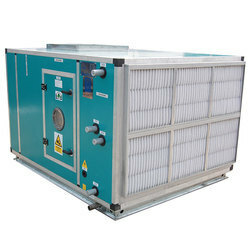 We are a leading Manufacturer of hvac system from Ahmedabad, India. We are presenting our firm as the reputed name of best ventilation solution known as Air Handling Unit / HVAC System. Offered AC-based systems are made in very precision at our framing unit by employing best electrical and mechanical parts. These HVAC systems are perfect in working and best in configuration. Additionally, all presented HVAC systems ensure the perfect ventilation.